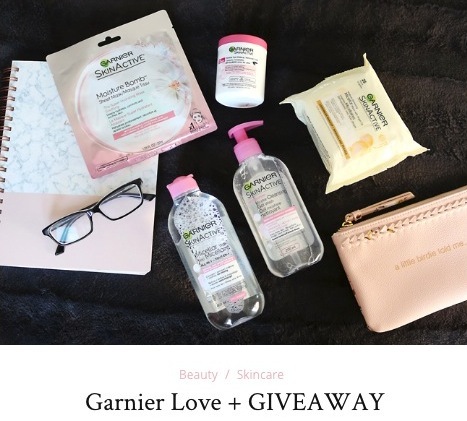 Enter the new Beauty by Bird and Garnier Giveaway for your chance to win a Garnier beauty Prize Pack. This giveaway is only open to legal Canadian residents who are at the age of 18 or older. To enter this contest you need to visit the Contest Website then at the bottom you need to login using your Facebook account and in the entry form you have to follow; BeautyByBird and Garnier on Instagram, visit and follow BeautyByBird on Facebook, Follow @BeautybyBirdy1 on twitter, leave a comment in the blog below and tweet about the give a way. If you don’t have a Facebook account follow the same steps with your email address. This contest ends on January 19 2019. Winner will be selected in a random draw. The Beauty by Bird and Garnier contest starts on January 14 2019 and ends on January 19 2019. The draw will take place the day after the contest ends, winners will be notified by direct message or email address.